Wikimedians of Iceland User Group seeks to organise activities for the public in Iceland to engage them in editing Wikimedia sites and also for the current Wikimedians as well. Preperation for founding an Icelandic chapter began in early 2013. There were four meetings between February and May. It was agreed to aim for recognition and incorporation. First and foremost to increase recruitment. The first aim of the user group is to increase the number of very active editors (>100 edits per month) to 15. There are being held weekly Wikipedia-nights in which assistance in learning to contribute to WikiMedia-projects is offered freely at the National and University Library of Iceland (see weekly Wikipedia-nights (in Icelandic)). Second objective is to obtain free material from public institutions for inclusion in Wikimedia projects. People were invited and encouraged to attend and be tutored by experienced users in editing Wikipedia and participating in other Wikimedia projects. Attendance was lower than hoped for but the meetings were effective in raising awareness. WMIS members attended radio as well as newspaper interviews. The work of WMIS entered a hiatus during the summer and focus was put on gaining a formal relationship with the WMF in order to be able to communicate with third parties as a legitimate actor. 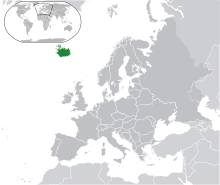 In 2015 Icelanders celebrate a centenary of women’s suffrage. We applied for and received a grant 50.000 ISK (364 USD) which was used to print a life size poster and smaller posters. We obtained public domain photos from the National Museum documenting that historical moment and are now available on Commons  Again open meetings, now with more focused advertisment, were people were invited and encouraged to attend were organised with disappointing turnouts. ↑ "Resolution:Approval of Wikimedia Macedonia.". Retrieved 1 March 2014. This page was last edited on 4 October 2018, at 05:32.